Conveniently located a 10-minute drive from the University of New Mexico, the Route 66 Hostel offers unique accommodations within walking distance to Old Town Albuquerque. Free Wi-Fi and a shared kitchenette is included. Colorful shared living areas include a cozy living room offering a variety of reading material. Guests can dine on the covered patio. 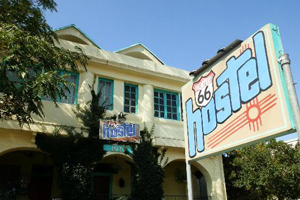 New Mexico’s Route 66 Hostel offers simply furnished rooms with wood floors and bright décor. The Albuquerque Transportation Center is a 14-minute walk from the property. The Natural History Museum is a 4-minute drive away. Experience the historic charm of this 1882 Italianate house in a comfortable European themed setting, complemeneted by modern amentities. 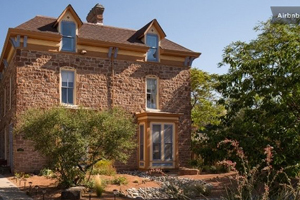 Serving an organic gourmet breakfast daily, this historic Victorian bed and breakfast is located in Albuquerque. Free WiFi is provided. University of New Mexico is 10 minutes’ drive from the property. A flat-screen satellite TV with pay-per-view channels, tea and coffee-making facilities and a small refrigerator are offered in all rooms at Bella Roma Bed and Breakfast Albuquerque. An en suite bathroom with a hairdryer is also included. A garden and a terrace are featured at Albuquerque Bella Roma Bed and Breakfast. Laundry facilities are available. An array of activities can be enjoyed on site or in the surroundings, including golf. The property offers free parking. Albuquerque International Sunport is 15 minutes’ drive from the property. ABQ BioPark Zoo is 2 km from Bella Roma Bed and Breakfast. 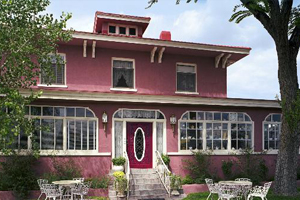 Serving a free hot breakfast to guests daily, this historic bed and breakfast is located in Old Town Albuquerque. Free Wi-Fi is provided in each guest room. All rooms feature a flat-screen cable TV and an iPod docking station at Bottger Mansion of Old Town Albuquerque. An en suite bathroom with a hairdryer and bathrobes is also included. Guests can enjoy a shaded courtyard and a garden at Albuquerque Bottger Mansion of Old Town. Free snacks and beverages are served daily. Parking is provided on site. The University of New Mexico is 10 minutes’ drive from the bed and breakfast. Rio Grande Zoo is 2.7 km from Bottger Mansion of Old Town. 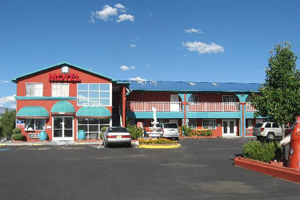 Just 2 blocks from Old Town Albuquerque, this motel offers a heated outdoor pool. A launderette is located on site for added convenience. Free Wi-Fi is included in all guest rooms. Cable TV is featured in all rooms at Monterey Non Smokers Motel Old Town. Simply furnished, each air-conditioned room is equipped with a fridge. Tea and coffee-making facilities are provided. Botanical Gardens are 11 minutes’ drive from Monterey Non Smokers Motel Old Town Albuquerque. Albuquerque Zoo is 1 mile away. A seating area and work desk are included in all classically furnished rooms at the Sandia Peak Inn. Each room is accessed by an exterior corridor with a shared balcony or patio. The motel staff is available around the clock at the 24-hour front desk. A continental breakfast is provided each morning at the Inn Sandia Peak. Beverage vending machines are on site. The Albuquerque BioPark Zoo and Botanical Gardens is 3.2 miles from this motel, and the Championship Golf Course is 7.4 miles away. The Albuquerque International Airport is a 15-minute drive away. 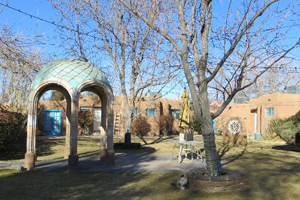 Situated on a garden compound in New Mexico, this historic bed and breakfast features comfortably furnished units with free Wi-Fi. 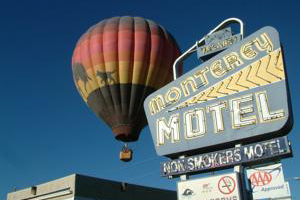 It is a 10-minute walk from the Botanic Gardens & Zoo, as well as charming Old Town Albuquerque. Each guest unit at Casas de Suenos Old Town Historic Inn boasts a full kitchen. Guests can relax in a separate living area complete with antique furnishings. Cable TV is included. A gourmet breakfast of eggs, bacon, green Chile burritos and more is served at Casas de Suenos. All meals are cooked-to-order and served hot. Guests can also enjoy fresh fruit, toast and cereal in the sun room complete with a fireplace. Tea and coffee is provided. Albuquerque Museum of Art, Natural History Museum is 10 minutes’ walk away from this bed and breakfast.